The ActionHeat 5V battery heated hand warmer muff is the perfect way to keep your hands warm. Featuring an extra large heating panel strategically placed to keep you warm for up to 5+ hours. The Hand Warmer Muff is great for walking your dog, going to a ballgame, and even on a construction site. 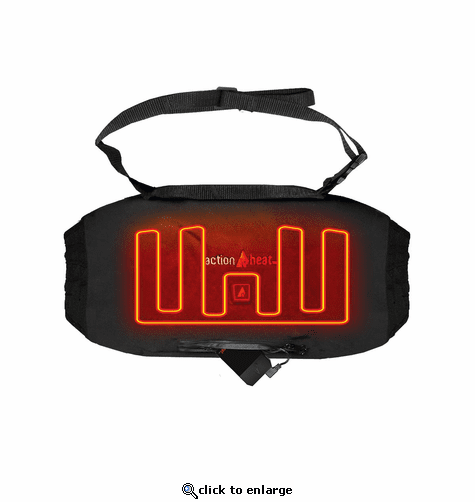 The ActionHeat muff features touch-button technology, with 3 easy to use heat settings. The muff will reach a maximum temperature of 125F and can last up to 5+ hours. Turn On – Press and hold touch-button control on the muff for 3 seconds. Press touch-button to adjust the temperature.